Jean-Christophe Parent, CEO at Walibi Belgium announced during EAS 2017 that the park will invest 100 million euros over the next five years to enhance the current park and open some new zones and attractions. The park aims to become Belgium’s premier theme park for families, including teenagers and young adults. -Aqualibi will add a new kids zone, designed for 3-8yo children. 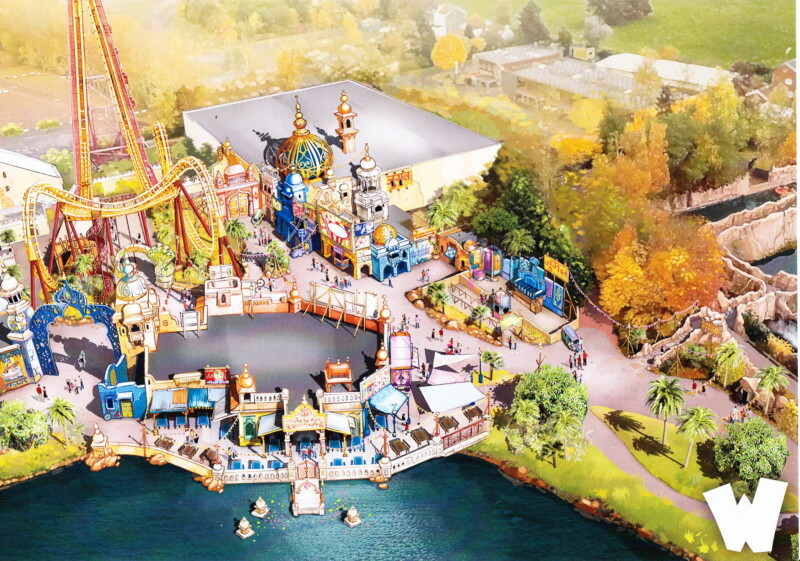 -A new entrance and entrance plaza will be constructed, allowing guests to choose between Walibi or Aqualibi parks. -An Indian themed area will include a new large themed restaurant and a new interactive dark ride from Alterface. -A new kiddie coaster for the kids zone. -The New Orleans themed area will be re-themed and accented by a carnival themed restaurant. The park’s Western area will receive a new family water ride and steam punk theming. Over the course of the five-year project, over 75% of the park will be transformed, adding four coasters and ten new rides.